We provide comprehensive power monitoring solution applicable to all non-residential buildings or small and medium industrial plants that helps energy cost reduction and energy availability improvement. This powermanager power monitoring software needs minimal initial investment at the same timr providing full expandability. It identifies energy and power values as well as electrical characteristics like current, voltage and power factor. It can also be controlled and archived for further evaluations. For optimized average power values, data can be anticipated and corelated in load curves. 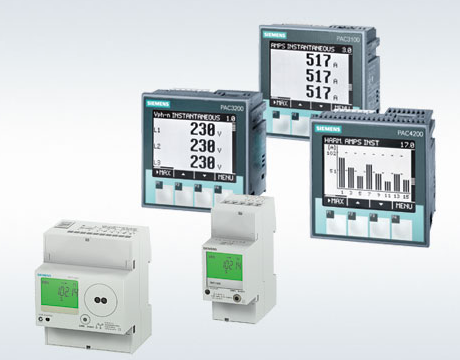 On the other hand, the consumption evaluations can be quickly built in standard cost center reports or via configured custom reports in accordance with individual requirements..
With our powermanager power monitoring software and the range of SENTRON devices, Siemens offers a power monitoring solution in non-residential buildings or small and medium industrial plants that facilitates reduced energy costs and increased energy availability.Powermanager requires minimum initial investment while offering full expandability! Powermanager detects energy and power values as well as electrical characteristics such as current, voltage and power factor. The values are not only displayed, but can also be monitored and archived for further evaluations. For optimized average power values, data can be visualized and compared in load curves. Consumption evaluations can be rapidly created in standard cost center reports or by means of easily configured custom reports in accordance with individual requirements.